For decades, Echelon forced peace on the world. Freedom was a sham: Echelon wielded total, if secret, control. In the end, two bioengineered Echelon agents, Ryan Laing and Sarah Peters, brought the conspiracy down. But there is no happily ever after for the liberators, or for humanity. With Echelon’s fall, a power vacuum is opened–and all hell breaks loose. Now an outsider in the world he created, Ryan retreats into the wastelands of Antarctica and a life of isolation. But when Sarah is blamed for a series of terrorist attacks, Ryan must return to a world he wanted to forget. Could Sarah be responsible for these atrocities, or is she a pawn in a much larger game? The answer lies with EMPYRE, a shadow organization at the center of the chaos gripping the globe. 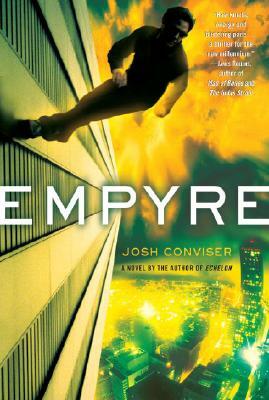 Ryan’s only hope is to uncover EMPYRE’s devastating secrets. The battle will drive Ryan and Sarah to the dark corners of the earth, to a floating, guarded city where the ultimate evil–and the ultimate plot against humanity–await.